The world's most popular synthetic gut with a textured wrap for extra spin. Spring Loaded Powerfoil releases explosive energy on impact for greater power while providing a broadband wear barrier for increased durability. Glide is a revolutionary cross string that dramatically reduces the sliding friction between strings creating spin, power and comfort. Get up to 300 RPM's more with a single string job! For best results, string Glide Cross String 10 percent higher than your normal cross string. 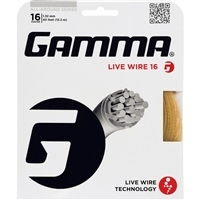 An all-time favorite string from Gamma. The TNT2 processing enhances playability, durability and control for all playing styles. 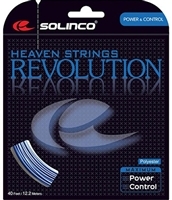 This excellent polyester string provides a firm, yet responsive string bed for greater control. 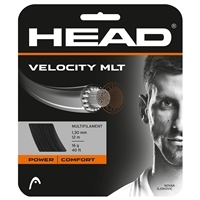 Ideal for players with full, fast swing speeds while maintaining tension and providing greater durability. 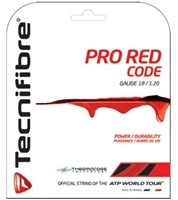 A newly developed, high-performance and responsive polyester string designed to generate maximum power and unbeatable control. 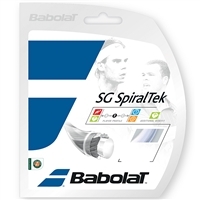 Utilizes an innovative, high-powered polyester monofilament fiber designed and shaped to maximize the ability to control and manipulate ball flight and generate exceptional power. 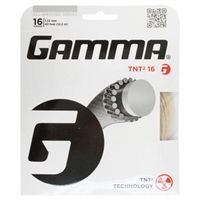 Offers a softer “cushioned feel” for exceptional power and greater control that is easy on the arm.